Here at Dash Two we collected data from 6 months of music concert ticket sales to create an infographic with some surprising revelations. In particular, ticket sales on desktops far outweigh sales on mobile devices. While that data point doesn’t tell the whole story, it is a reminder that the concert-going audience is not limited to the popular stereotype of a mobile millennial enjoying the convenience of mcommerce. We gathered data over the last 6 months using our own url shortening and sales tracking service flyt which was recently honored by ShopStorm. Using flyt allowed us to track clicks and sales via ads and organic media from both websites and social media. In addition to the information shared in the infographic, using flyt also allows us to identify which social platforms, from Facebook to Twitter to Instagram, lead to the most sales. For the below graphic, we focused on ticket sales to music concerts in the U.S. across genres. Ticket sellers included Ticketmaster, Ticketweb, Ticketsnow and LiveNation. 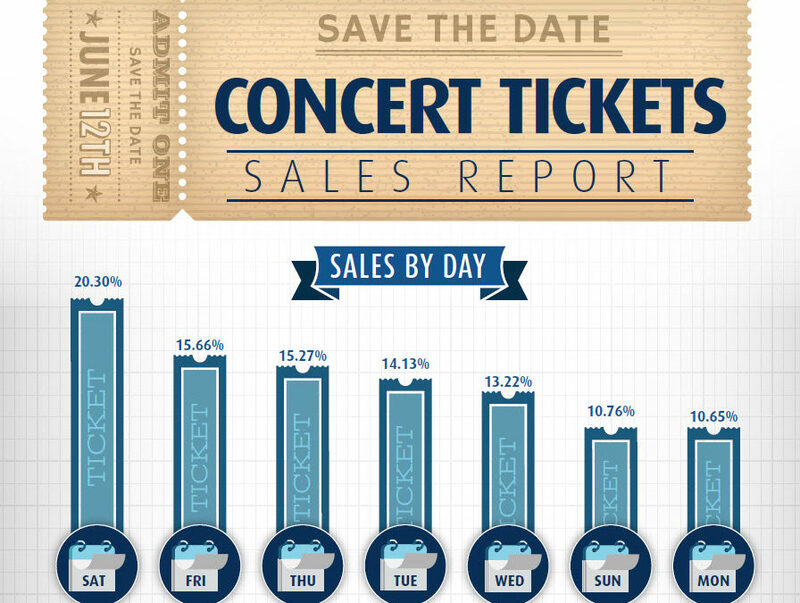 While perusing the infographic you’ll notice that it includes ticket sales by day and time of day. Clicks on ads, actions to purchase (i.e. sales) and revenue are then broken down by platform followed by additional drilling down into stats by devices. It’s an oddly compelling look at 6 months of music ticket sales in the U.S. Though sales occur throughout the week, the peak days are Thursday, Friday and Saturday when most concerts occur. These sales include both same day and longer term buying so buyers may be in planning ahead mode going into the weekend regardless of when they’re actually attending shows. Sales by time (PST) do go around the clock but take off around 7 am continuing throughout the day till early evening with a bit of a surge around 11 pm. Taking into account U.S. time zones this puts the quietest period from around 2 am to 7 am. The data gets particularly interesting when one looks at sales by platform with almost 75% of initial clicks on ads occurring on mobile devices, especially phones, contrasting with actual sales on desktop close to 64%. Revenue is even more strongly skewed with just a tad over 68% coming via desktop sales. So even though mobile commerce is growing and fashion forward tech analysts believe that the PC is dead, music ticket sales are still occurring more strongly on desktop while discovery seems to be happening more on mobile. Fans of related research may not be too surprised since ecommerce sales on desktop still dominate and live music audiences span generations. Overall this data suggests that ad campaigns should continue to be multiplatform, cover relatively broad days/time and that discovery should be included in one’s plans. For example, in line with current sales funnel behavior, finding ways to make it easy for someone who clicks on a mobile ad to come back and purchase tickets on desktop. However a true multiplatform plan would support any pathway from discovery to purchase and enable one to be prepared for future changes in buyer behavior. As one ponders this graphic, remember that the most important data is data about one’s own audience. Interesting insights in the aggregate remind us that media portrayals of consumers follow trends and don’t always portray the big picture. But they should also remind us to find useful tools to discover what our own unique audiences and customers are doing and to reveal where and when they want to spend their hard earned dollars. 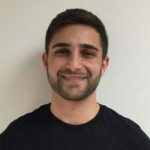 Amit Kidron is a Digital Strategy Manager based out of DASH TWO’s Los Angeles office. Amit has worked closely with clients primarily in the music and live entertainment space promoting tours and album releases. Amit works with a variety of companies to develop media plans that help achieve their respective business objectives such as streams and sales. He also leads the agency’s programmatic media buying.